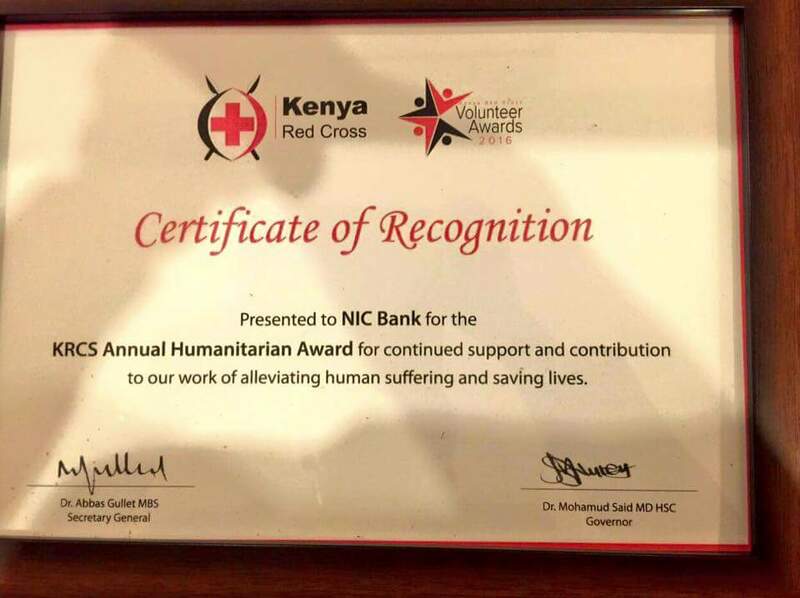 NIC Bank received a Humanitarian Award during the just concluded Kenya Redcross Volunteer Awards 2016. NIC Bank through its CSR initiative,developed a NIC Redcross Card which over the years have been making clients access medical services with easy during emergencies.Its this move that made NIC bank voted the best Humanitarian Company. Congregations NIC for the win.